I recently became hip ... hip to haul videos. Perhaps, you’ve already been hipped to haul videos. If not, consider this your haul pass to becoming hip to haul videos. NPR did a story on it. So did Marketplace. Newspapers have written about it. And I’m fascinated by it. What is it and why am I so fascinated by it? Haul videos are simply online video recordings where people, generally teenage girls, talk about their recent purchases. For example, Juicystar07 has posted about 200 haul videos and has nearly 24-million views for her videos sharing commentary on products she’s purchased from retailers including Forever 21 and Ulta. With viewership numbers like that coupled with priceless third-party endorsements, you can clearly understand why retailers are excited by this marketing trend. Nick is a speaking coach for executives and consultant-types. His first book, “GIVE YOUR SPEECH, CHANGE THE WORLD” is a must-read for anyone who delivers presentations. Tim Sanders is coached by Nick and has carved out a lucrative career as an author and speaker. These two guys were both being sincerely helpful by sharing their no holds barred advice. Third piece of advice is exude enthusiasm, passion, and charisma when delivering presentations. The difference between a travel-fees only speaker and a well-compensated speaker comes down to style. It’s a given that both of these speakers will have smart content. However, the ones who get well-compensated understand they must not only share knowledge, they must also inspire attendees to act upon the knowledge they just heard. Nick and Tim shared lots more advice on breaking into the paid speaking business beyond what I shared. Samantha Bell gives a detailed summary of their SXSWi session. Read it, it’s worth your time. You can also read the tweets from the #blogmoney hashtag. I just watched Jim Gaffigan’s “King Baby” comedy special. Funny. Dang funny. And applicable. Really applicable to anyone who gives presentations. Presenters and stand-up comedians have a lot in common. Presenters, like comics, must share a unique point-of-view. 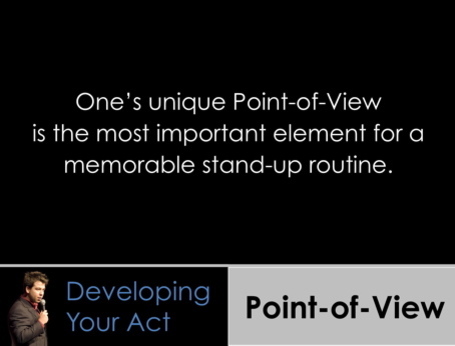 Presenters must also share their unique point-of-view in a smart way, just as comedians must do. 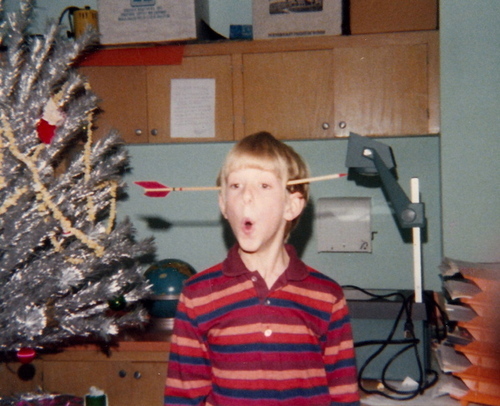 Good presenters and good comedians utilize the power of timing and pauses in their delivery. The very best presenters and comedians go the extra mile by managing to give the illusion of their on-stage performance being a dialogue and not a monologue. When you watch this clip of Jim Gaffigan’s “Bacon” routine, you'll learn exactly what I'm talking about. Notice how he shares his point-of-view in a uniquely smart way. Also, notice how Gaffigan pauses just enough to add more punch to his punch lines. It’ll be hard not for you to notice how Gaffigan gives the illusion of his routine as being a conversation with the audience. He's a brilliant presenter. For extra credit, check out this presentation I posted on SlideShare. It shares more insights on improving your presentation skills by incorporating lessons from the world of stand-up comedy. The above photo is of my older brother (Trip) and nephew (Blair). It was taken earlier this month when Trip's family visited me in Austin. When folks visit me in the badlands of Central Texas, I make it a point to take them to a top-notch BBQ joint. Smitty's BBQ in Lockhart, TX is one of the top-notch BBQ joints I take people to. 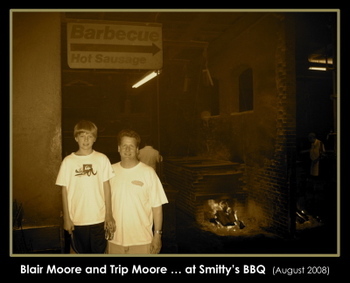 And that photo is from a smoky side room inside Smitty's. For the backstory … go here. For my comment … go here. For Peter’s rebuttal … go here. And now ... after following those links, you know why I had to give Peter the gift you see above when we met up last night in Austin. Living in the Badlands of Central Texas has some benefits. I took advantage of one those benefits on Saturday morning by visiting Snow’s BBQ in Lexington, TX. Brand Autopsy blog readers will recall an earlier post about Snow’s BBQ, a small town BBQ joint that was once hardly-known but now is widely-known thanks to hefty praise from Texas Monthly magazine. Saturday was the day for me to make the hour-long drive to visit Snow’s and experience for myself the littlest bestest BBQ joint in Texas. I took along my itty-bitty camera and clumsily cobbled together this amateurish video of my visit. Enjoy. Laura, do you really believe by adding GPS functionality to the iPhone, it changes it so dramatically that the iPhone goes from being a convergent device to a divergent device? As you’ve implied, the iPhone is the acid-test for the divergence theory you and Al Ries have lectured on for years. I admire the strong stance you took declaring the iPhone would fail when it was launched last year. The convergence theory you’ve lectured on says any device that combines distinct features like phone, music, camera, Internet, and video is doomed to fail. In your books, lectures, essays, and blog posts you’ve chronicled the failures of convergent devices from all-in-one washer/dryers to all-in-one TV/VCR combo sets to the Hall Flying Car. And you were quick to proclaim, “The iPhone will do a lot of things but it will do nothing well. And that is why it is destined for failure." The latest version of the iPhone adds faster Internet connections and global positioning features to its already application-rich features of phone, music, camera, Internet, and video. Sounds like the iPhone is just expanding its focus on convergence by adding G3 speeds and GPS functionality. Sounds to me like you are reversing course and changing your stance to fit the story that is being played out. That story being Apple is finding success with a convergent device. I ain’t disrespecting you Laura, just questioning you. Thanks for listening. Anyway, the basis of this presentation is sharing lessons I've learned from being an outsider looking into the world of stand-up comedians. There's a lot of great advice presenters can learn from how comics approach their craft. 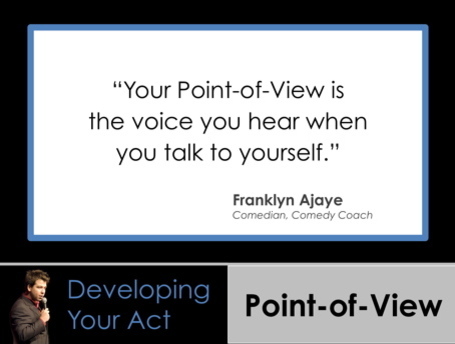 For example, here are a few slides focusing on the importance of developing a strong Point-of-View when crafting and delivering a presentation. As a kid I read lots of MAD magazines and the backpage fold-in was always something I looked forward to doing. Can't say I understood everything contained in the fold-in ... it was just fun for a curious kid to do. The NY Times recently ran an interesting story on Al Jaffee, the mastermind behind the fold-in. Since its first appearance in the April 1964 issue of Mad magazine, the 87 year-old Al Jaffee has drawn every one of these backpage fold-ins. WOW! 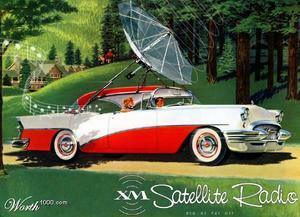 Take a few minutes this Tuesday and rekindle your MAD magazine fold-in memories with this wicked cool digital gallery. As I do with most any new topic that interests me … I read a book about the topic. Judy Carter’s “STAND-UP COMEDY: The Book” seems to be the most widely available. 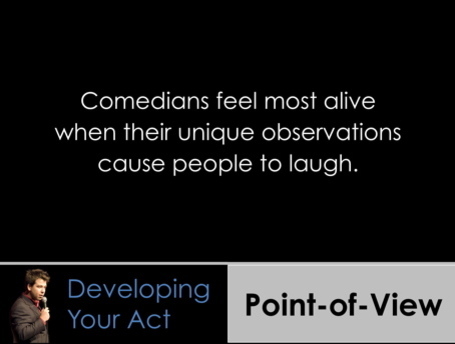 It gives you a basic understanding of how comedians source, shape, and deliver their act. There are lots of good nuggets in this book which I can apply to my presentations. “A comic who has made a dedicated commitment to his or her act can make an audience laugh just on the strength of confidence alone. It doesn’t really matter what is being talked about. Whether discussing the pope or polyps, or even the pope’s polyps, it is the commitment of the comic to his or her material that carries the act. The commitment to communicate, to get ideas across, will provide all the fuel you need. The desire to communicate is the only sane reason to ever get on any stage. Why? If you don’t believe in what you are talking about, neither will the audience. The topic you pick doesn’t have to be serious, but your attitude about it does. Whether talking love or lint, talk to you audience as if your words are going to change their lives." Smart stuff for us all, no matter if we are working our set in a small comedy club or working our deck in a small conference room. For more on Judy Carter, visit comedyworkshops.com. Lately I’ve become too comfortable delivering presentations. My fall calendar was quite busy with gigs in big cities, small cities, and international places. And feedback from both attendees and conference organizers has all been very positive. But something within me wasn’t satisfied. That something was telling me I’m plateauing as a speaker. As a child I felt an attachment to Steve Martin partly because his KING TUT song was the first 45-rpm single I bought; partly because his on-stage goofiness (arrow through head, etc.) inspired the budding class clown in me [peep this for proof]; and partly because my Dad and older brother saw him live in Las Vegas back in 1979. 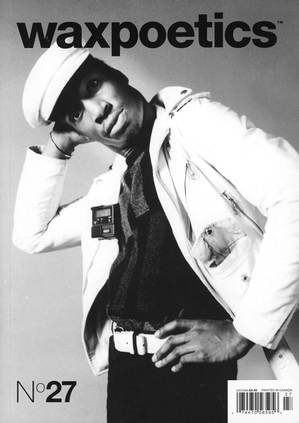 I also remember spending hours looking at his GET SMALL album cover where he wore the funny nose and had a messed-up balloon animal hat atop his head. Anyways ... back to my Eureka! moment. 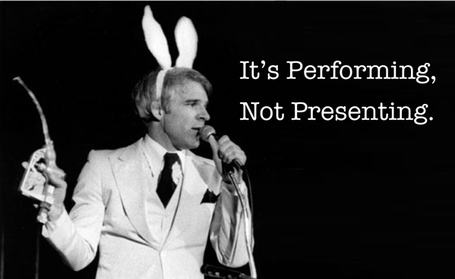 Something in Steve Martin’s book triggered a thought that has changed how I approach my speaking gigs — I do not deliver presentations. I GIVE PERFORMANCES. Because I give performances, I need to be more exaggerated, more animated, more vocal ... more like I’m “on stage” performing. 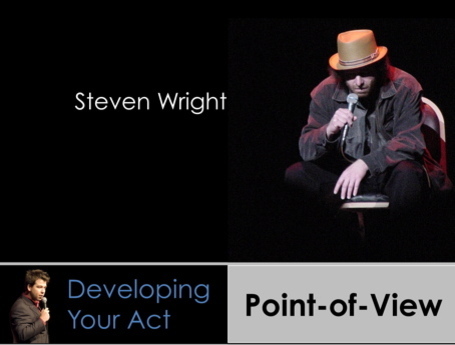 Last month I began putting into practice this angle of giving performances rather than just delivering presentations. I deliberately became more animated on stage. My voice inflections were more exaggerated. I worked (and walked) the entire room, making lasting eye contact with attendees. My timing improved as I focused on delivering my key takeaways as if they were punchlines to a joke. I felt great afterwards. And the feedback from attendees confirmed how good I felt. Plus … I kid you not … I’ve had people come up to me afterwards and tell me that if this presentation thing doesn’t work out, I should become a stand-up comic. Eureka! I might be onto something here. While reviewing some family history, notably the early death of my Father’s Father, I was struck with how Twitter today was a Telegram yesterday. With Twitter you are limited to 140 characters. With Telegrams from the bygone era you were essentially limited to 140 characters because anything more would have been super-spendy. Twitter’s interface resembles a Telegram’s interface. Have a look ... below is a telegram from friends of my Grandmother expressing their condolences over the passing of her husband, Al Moore. 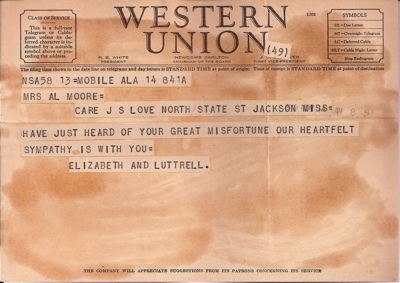 The crux of the message is a mere 100 characters: Have just heard of your great misfortune our heartfelt sympathy is with you = Elizabeth and Luttrell. Yes, this analysis is limited and flawed. Twitter’s ability to connect with people in real-time with words makes it difficult to truly compare it to a Telegram. However, back in its day, a Telegram was the most instantaneous way to send a note to someone. Much more instantaneous than the Pony Express. The Final Four has Seth Godin taking on Church of the Customer in one match. 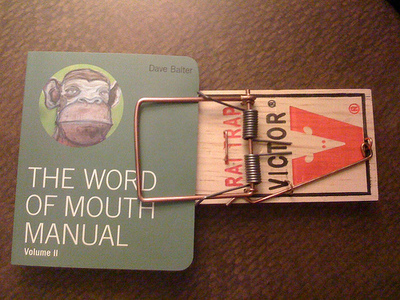 The other match pits Creating Passionate Users against Marketing Profs Daily Fix. The Seth Godin/Church of the Customer match-up lived up to its hype—a barn-burner. Seth played his usual relentless and rapid-fire style putting pressure on the Church early. Ben and Jackie of the Church withstood Seth’s early onslaught and managed to go to halftime only down by a few points. The start of the second half saw the Church play with a poignancy seldom seen. Seth got into early foul trouble with some wayward posting and the Church took advantage at the free throw line. Down by one point with seven ticks on the clock, the Church blogging duo ran a classic give-and-go play leaving Seth stuck in his shoes and Jackie zipping through the lane for an easy, last-second game winning layup. 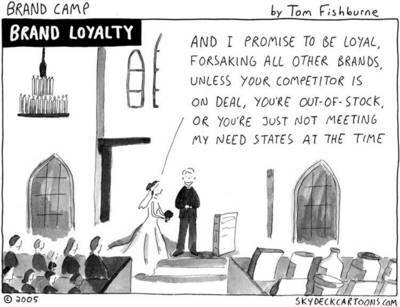 The Church of the Customer defeats Seth Godin. No one knew what to expect with the Creating Passionate Users match against Marketing Profs Daily Fix. As game time neared, speculation rose that Kathy Sierra of Creating Passionate Users blog was not in the arena. Recently, Kathy has been the target of some cowardly online bullying and hearsay was her blogging sabbatical would prevent her from playing. Ann Handley and her stable of Marketing Profs Daily Fix bloggers were warming up when David Weinberger, tournament commissioner, addressed the crowd. David read a statement from Kathy Sierra explaining why she was passing on the opportunity to play. Everyone in the arena understood Kathy’s gracious and heartfelt reasoning. Marketing Profs Daily Fix advances to final game. 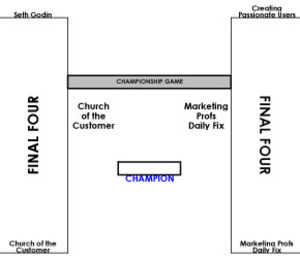 The Marketing Bloggers Bracketology FINAL GAME pits the Church of the Customer against the Marketing Profs Daily Fix. Results to be announced on Monday. You can access my updated bracket here (.pdf) and there is still time to create your own Marketing Bloggers Bracketology chart using this TEMPLATE (.xls). The authors have invited “subject matter experts” to fill out these brackets with such offbeat categories as the Best Game Show Catch Phrases, Best Sports Rivalries, Best Guilty Pleasures, Best Plastic Surgery Disasters, etc. Fun stuff made even more fun at their DailyBracket website where you can submit your own bracket creations. I’ve whittled down the 64 marketing blogs I chose to include in my bracket to a FINAL FOUR. Three #1 seeds made it to my Final Four and one Cinderella seed made it. 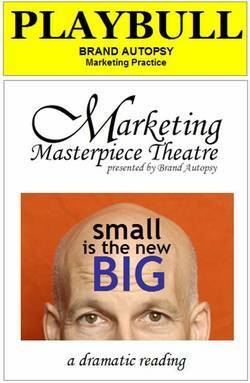 Seth Godin’s blog (#1 seed) takes on The Church of the Customer (#1 seed) in one match-up. The “winner” of that contest will face the winner between Creating Passionate Users (#1 seed) versus Marketing Profs Daily Fix (#3 seed). You can access my full bracket by clicking on the image below to open it as a PDF. I’ll post the results from my Marketing Bloggers Bracketology Chart on Monday of next week. In the meantime, you can also create your own chart by using this TEMPLATE (.xls). It would be fun to see a slew of other Marketing Bloggers Bracketology charts out there. Gadget geeks get their kicks unboxing the latest gizmos. (Seriously, people are doing this.) So ... watch as this business geek, me, gets his kicks unboxing the redesigned Wall Street Journal. RSS Readers ... click here to watch the video. Okay. I’m a sucker for anything related to old school TV Game Shows. Name practically any Game Show from the 70s & 80s and I can ramble on-and-on about the hosts, celebrity guests, and game play. (Yeah, I know all about Rodeo Drive, Just Men!, and Hot Potato – don’t try to stump me. I’m unstumpable when it comes this.) So when I saw Toby taking the cue from David, I just had to play. The game play of Match Game was simple. The affable Gene Rayburn would toss out a fill-in-the-blank question or statement like, “King Kong ____blanked___ on the building.” and the celebrity panel would fill-in-the-blank by writing a word on a card that was either far-out wacky or right-on legit. Rayburn would then turn to one of the two contestants and ask them for their one word fill-in-the-blank answer. The contestant that managed to MATCH more of their answers with the celebrity answers won and then, went on to compete in a head-to-head bonus round with one of the celebrity panelists. The real draw on Match Game was the celebrity panel. I know I would tune in to see if Nipsey was playing that day or if wacky Fannie Flag was playing. But if David Doyle was playing, I would usually change the channel and watch Password instead. >> Dang, I’m digressing again. Sorry. In his post, David filled the six celebrity panel slots on his blog-world version of Match Game with the likes of Steve Rubel, Amy Gahran, Hugh McLeod, Toby Bloomberg, Seth Godin, and Tara Hunt. Well … I also decided to field my Match Game celebrity panel with marketing bloggers. Rich…! (Hello World) and the brilliant zaniness that exudes from him leads off in position one. Jackie Huba (Creating Customer Evangelists) fills the upper-middle seat and would no doubt add some zest to the show as well as she could plug her new book, CITIZEN MARKETERS. 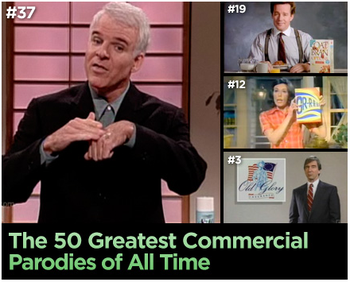 The infectious Seth Godin would locked down the third slot. 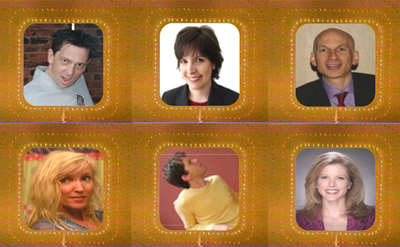 Kathy Sierra (Creating Passionate Users) would add some sass and class in the first seat of the bottom row. Spike Jones (Brains on Fire) would have the coveted middle-bottom row slot and would no doubt endear himself and his fearless marketing insight with everyone. Laura Ries would add some fire to the show with her well-reasoned, yet counter-intuitive strategic marketing thinking. That’s my Match Game Blogger Panel … who’s on your panel? Paul Williams, of the Idea Sandbox, recently shared his impressions of Coke BlaK, a coffee infused cola. He also shared an amusing story of when we cracked open and tasted a long-expired coffee soda beverage called Mazagran. Mazagran? In 1994, before Starbucks partnered with Pepsi to create the bottled Frappuccino product, they first produced a coffee-infused cola beverage called Mazagran. Mazagran didn’t last long but while doing the marketing thing at Starbucks, I managed to get my hands on a dusty box of Regular and Spicy Mazagran bottles. Before I left Starbucks in January of 2003, I cajoled Paul into sampling a long-expired bottle of Mazagran – click here for the pictures. Slight sparkling sweet ginger effervescence gives way to a medley of hazelnut, roasty, and woodsy notes. A subtle coffee aroma is present but overshadowed by other aromas. Initial sip reveals a generic cola-like flatness leading to coffee infused velvety caramel cola flavors. A rounded sweetness with tartness on the sides of the tongue is prevalent but the mouthfeel lacks substance. The finish is tame and heavily tarnished by the artificial aspartame sweetness. The coffee flavors are underwhelming and when present, taste like low-grade, light-roast artificially-flavored coffee. You could probably recreate the flavor of Coke BlaK by opening up a can of Tab cola and adding a small droplet of brewed hazelnut coffee. Seriously, Coke BlaK tastes a lot like Tab with a slight hint of bad, flavored coffee. Given all the snazzy and heavily aspirational creative promoting Coke BlaK, this is another example of marketers overpromising and woefully underdelivering. 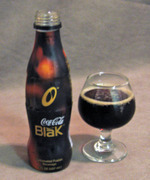 By year’s end, Coke BlaK will enter the blaK hole of beverage missteps from Coca-Cola. Here’s a little ditty from Dell Ditty guy about the NCAA Tournament. Inspired by “Rocketman” … here’s BRACKETMAN. NCAA Bracket - After you fill out the bracket, pay into the pot, and tape your bracket to the wall, you no longer have any control. The teams will make or break you. Last year I went the wisdom of crowds in filling out my NCAA Tournament Bracket. This year ... I used Jeff Sagarin NCAA Basketball ratings mixed in with my "wisdom" from years spent watching the likes of Fennis Dembo (Wyoming), Harold Miner (USC), and Carlton Screen (Providence) play in the tournament. Click below for my picks. This post about sharing Gil Scott-Heron videos on YouTube has nothing to do with marketing. Wait. 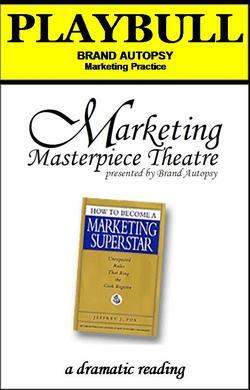 It has EVERYTHING to do with marketing since it falls into the consumer generated|consumer empowerment marketing game. I’ve become addicted to YouTube. Some of you may know I’m a music junkie who is always in need of funk fix. Yeah, my music roots are deep into funk, funky jazz, jazzy funk, and straight-up jazz. And on YouTube, I am finding so many cool videos of rarely seen live sets, music videos, and commercials from some of my favorite music groups. For example, here’s a TV commercial for Parliament's "Funkentelechy vs. The Placebo Syndrome" album. And here’s a great live version of “Hollywood (Africa)” from the Red Hot Chili Peppers with George Clinton back when the RHCP were cool and funky. Ain't nothing funkier than Herbie Hancock & The Headhunters playing Chameleon from 1974. As a hip-hop-storian, I was shocked to find rare Grandmaster Melle Mel videos such as this Public Service Announcement and this Spike Lee directed video for White Lines. For more … check out the Church of the Customer’s take on why NBC is “shooting itself in its viral foot” by restricting the online distribution of its content and why YouTube is better than Google Video. 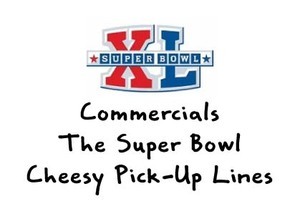 I've updated a vintage Brand Autopsy riff on the Super Bowl advertising insanity and recorded it as a short audiobog. While reading a Wall Street Journal editorial (Dec. 3, 2005) on whether or not Wal*Mart is good for America, I got to thinking about the anti-Wal*Mart movement. So far, the anti-Wal*Mart movement is focusing its attention on educating consumers about the high cost of low prices and on trying to unionize current Wal*Mart workers. Their efforts seem to be having an impact as more and more of us are asking if Wal*Mart is good business or bad business. However, Wal*Mart is still proceeding at warp speed opening up more stores and going through significant measures to bring the lowest possible prices to market. Could this be the stone that topples the Goliath Wal*Mart? Ian McKee, from the Power of Influence blog, commented on our Marketing Intervention Guidelines posting expressing his concerns about the discountitis epidemic in Singapore. The Brand Autopsy Discount Detox Center is aware of the Asian BOGO Flu epidemic having read about it in the fictitious Journal of Meaningful Marketing. Our hearts go out to those customers, businesses, and marketers in Asia affected by this virulent strain of the far too common BOGO Flu. The “Buy One, Get One Free” discount disease has been around for decades. The antidote we administer to defuse this discount disease is an accounting mindset change. Companies most susceptible to the BOGO Flu financially account for redeemed coupons at the cost-of-goods-sold (COGS) and not at full retail value. The financial impact to a company is considerably less when they account for discounts at the COGS level. For example, suppose you are a marketer at an Espresso Café offering the following coupon: Buy One Latte (12 fl oz. ), Get One Free (equal or lesser value). The COGS of preparing a 12 oz latte is around 30 cents while the retail cost is close to $3.00. If 1,000 BOGO coupons are redeemed, the financial hit for a company accounting for the coupon at the COGS level is $300 versus a much larger financial hit of $3,000 if accounted for at full retail value. A $2,700 discount discrepancy for 1,000 redeemed coupons is serious money. Once discount addicted marketers are made aware of this discrepancy, they realize the fiscal affect of their discount disease. Following completion of their discount detox treatment program, these marketers return to their companies and begin advocating accounting for any and all discounts at full retail value and not at the cost-of-goods-sold. The Brand Autopsy Discount Detox Center will gladly share our marketing antidote to the Asian BOGO Flu epidemic with the Asian Business Health Organization (ABHO). Anyone have a contact at the ABHO? We are humbled by the overwhelming response to the Brand Autopsy Discount Detox Center (B.A.D.D.C.). Since we announced the formation of the B.A.D.D.C. a few days ago, we have received inquiries from concerned businesspeople around the globe seeking treatment for discount addicted marketers. As a public service, the Brand Autopsy Discount Detox Center is making available its Marketing Intervention Guidelines for concerned businesspeople wanting to conduct a marketing intervention. A marketer who is severely dependent and is unwilling or unable to see the severity of their addiction to discounting needs a marketing intervention. 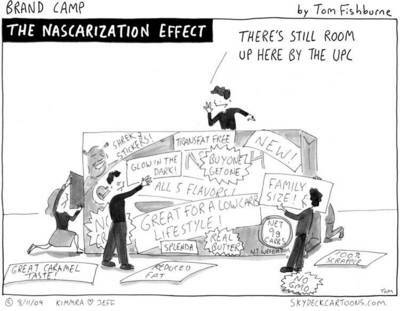 In a marketing intervention, a group of concerned co-workers, marketers, and others confront the discount addicted marketer. Each person in the group writes a letter stating exactly how the marketer’s addiction to discounting has negatively affected their life. In this letter, they share their love and concern for the marketer and ask that they seek treatment. The marketer is told, in a loving, gentle and supportive way, they are not the problem, but the discount illness is the problem. It is difficult for the marketer’s wall of denial to hold up under all of this love and most of the time, the marketer will agree to go into treatment. If the marketer refuses, the truth has still come out and this often leads to treatment at a later time. While it is best to use a trained marketing interventionist to help you develop the intervention strategy, you can conduct the intervention yourself. The following Marketing Intervention Guidelines from the Brand Autopsy Discount Detox Center will help you design and conduct your intervention. Bring together a minimum of three and maximum of eight people who are important to the business and to the marketer in particular. The best marketing intervention groups have a broad mix of people including some from outside the company such as customers and vendors. Set up a planning meeting with all participants to discuss the intervention. Be very discreet in all your actions so as not to alert the suffering marketer. 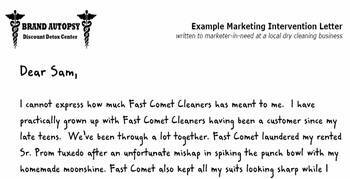 Each group member is to write a letter to the addicted marketer listing how they may have helped to enable the addiction and all the negative consequences caused by the marketer’s addiction. Each letter should close with a statement asking the marketer to seek treatment for their addiction. Rehearse the intervention with all the group members. And at this meeting, set a date, time, and place for the actual intervention to occur. You will also need to create a plan to bring the addicted marketer to the intervention as well as choose a treatment center. If the chosen treatment center is out-of-town, then you will need to make necessary travel arrangements. The intervention group will need to identify objections the addicted marketer may use to avoid or postpone treatment and then formulate appropriate responses. Plan to be at the intervention location 30 minutes before the addicted marketer is expected to arrive. After the intervention, call the admissions staff at the chosen treatment center and let them know whether or not the addicted marketer has agreed to treatment. Collect all letters and send them to the addicted marketer’s counselor at the treatment center. Click here to read the following sample Marketing Intervention Letter (.pdf). Unfortunately, General Motors' discount detox didn’t last long. The automaker was to have ended its EDEO (Employee Discounts for Every One) pricing scheme on August 1. However, the urges and the cravings to discount were to strong for the company to resist. General Motors has decided to continue its addiction to discounting in order to increase sales. Yep, GM has again extended its EDEO pricing scheme. It pains me greatly to see a business suffer so mightily from abusing low price marketing schemes. As a marketing doctor with Brand Autopsy, I’ve seen far too many businesses overdose on discounting. And once these businesses OD on discounts … they never seem to recover and regain the marketing vitality they once enjoyed. So sad … so very sad. That’s why I am introducing the Brand Autopsy Discount Detox Center. The goal of the Brand Autopsy Discount Detox Center is to rid businesses of toxins accumulated by rampant abuse of discounting pricing strategies. The first step of discount detox is immediate withdrawal from any and all discounting activities. Once a business has stopped using discounts, fiscal and behavioral withdrawal symptoms may follow. The nature and severity of the withdrawal symptoms vary greatly depending on the discounting activities used as well as the frequency of use. These days there are very few businesses using one discount tactic exclusively. It is common to see businesses in discount detox that abuse couponing, zero-down/zero-percent financing deals, and rebate programs. Discount detox is a process that applies to any business addicted to using low prices to drive sales. Discount detoxification is performed in many different ways depending on where a business decides to receive treatment. As a highly trained detox facility, the Brand Autopsy Discount Detox Center incorporates counseling and therapy during all phases of the detoxification process to help with the fiscal and behavioral distress afflicted businesses may experience. Detoxification at the Brand Autopsy Discount Detox Center covers all aspects of withdrawal and purification from discounting activities. The removal of residual discount tactics is a key goal in the Brand Autopsy’s proprietary discount detox process. Without this process, residual discount tactics can remain in a marketing department of a business and cause cravings for years after discounting activities have supposedly ceased. A vital step in a successful discount detox is flushing out these accumulated toxic residues so that the business no longer experiences unwanted adverse effects from the discounts they have used. If you know of any business suffering from addiction to discounting, please consider contacting the Brand Autopsy Discount Detox Center – we are here to help. 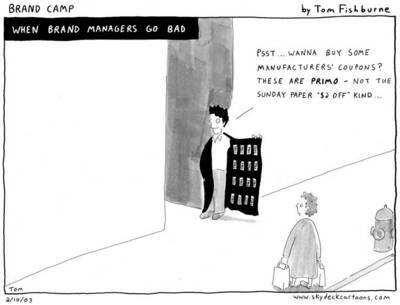 Tom Fishburne is a moonlight marketer. He spends his days as a consumer products marketer and his nights drawing whiz-bang cartoons on the hilarity of life in the trenches of brand management. 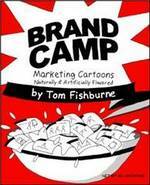 If you enjoy the following cartoons then be sure to pick up a copy of the BRAND CAMP cartoon book. Enjoy. 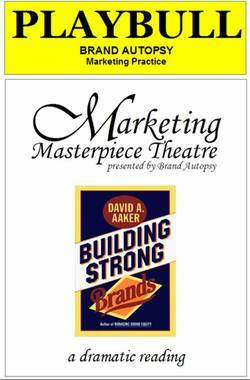 Show some love and buy the book like Brand Examiner Paul and I have done. Brand Autopsy readers … I’m working on a writing project and would like to tap into the wisdom of the blog crowd. Please help me in identifying benchmark businesses that have seen their market dominant position crumble because of complacency, conservatism, and conceit. What businesses/brands do you identify with losing their competitive edge because they became content with doing business the same as they had always done it? 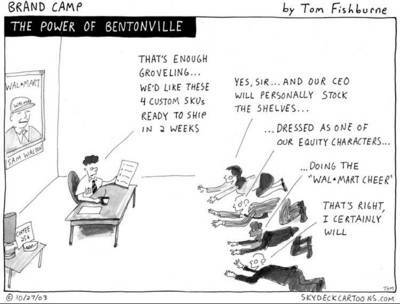 This act of complacency allowed for an upstart competitor(s) to dethrone the market leader. Any examples come to mind? How about a few businesses/brands that stopped taking risks and thus lost their leadership position? 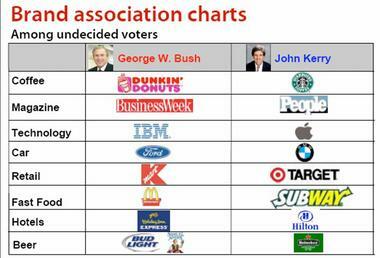 Any examples come to mind of how a business/brand lost its edge because of conservative decision-making? Which businesses/brands have you seen where their inflating ego has blinded them from encroaching competition and resulted in the business losing its leadership position to an upstart? Thanks y’all for your help here. I promise to share more about this writing project in the weeks/months to come. It’s spring time and besides being the season for March Madness, it’s also the season for companies to issue Annual Reports. And the authors behind Why Business People Speak Like Idiots have turned their attention to showcasing the most vacuous and idiotic shareholder letters from 32 of the largest corporations in America. They're calling it Manure Madness and are conducting a Tournament where the ultimate vacuous and idiotic shareholder letter will be rewarded with their 2005’s Shining Beacon of Business Idiocy. Round 1 judged letters on Verbal Diarrhea (“… the inability to say something in less than a page when one sentence would suffice"). Round 2 judged letters on their percentage of Empty Calories (the % of total words that are all fluff and convey nothing measurably substantive). Round 3 will judge letters on their level of Committophobia (how deftly the company shakes responsibility and dismisses accountability). Round 4 will judge letters based upon their Cheese Factor (measuring “…who can offer up the cheesiest load of tired clichés (‘our people are our most important asset’), overused catchphrases (‘we are well positioned for growth’) and syrupy say-nothing slogans (‘building a better world for all")). Round 5 is the Inspired Insipidness championship game and the winner of the 2005’s Shining Beacon of Business Idiocy crown will be the most dull, boring, and lifeless shareholder letter. Creative stuff to say the least and all of their commentary is ruthless with some comments more ruthless and more brutal than others. For example, here is their take on the annual report from AmerisourceBergen, a pharmaceutical services company. [The authors write] The first problem with AmerisourceBergen’s annual report is the ginormous full page profile shot of CEO R. David Yost (don’t leave the R. off). OK, say you’re the CEO of some big humongous Fortune 50 company. It’s time for you to review the annual report, and your Reese Witherspoon Legally Blonde Communications Department Assistant Manager in Charge of Annual Reports comes in to show you the first draft. And you see, right there on page two, this picture of you that shows in full IMAX relief every single Botox neglected wrinkle on your face. So what do you do? 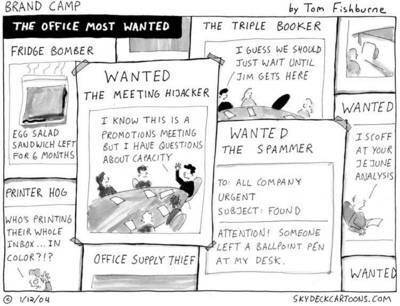 Any executive with an ego within six sigma of the human mean would say, “Oh my, isn’t that just a little much? Why don’t we go with a slightly smaller version, say about 98% smaller”. But not R. As in R. David Yost. R. decides to go with the supersized version. We call this the Mt. Rushmore syndrome. Major league Cheese Factory infraction for this one. Oh, those silly competitors. Always coming in and undercutting our prices. Will they never learn? And what has happened to our luck lately – it just never seems to go our way anymore. How about some cheese to go with all that whine? More ruthless commentary is directed at the Altria annual report. [The authors write] This is the kind of photo that really inspires confidence. Check out Shifty Eyes Szymanczyk on the lower right, and Mr. I-smoked-more-than-just-tobacco-today Greenberg on the top, second from left. Wanna’ take bets on how many Marlboro Reds each of them inhales a day? Beyond the class photo, Altria gets props for introducing a new buzz term into the business person’s vernacular: “societal alignment initiatives.” We have no idea what these are, because Altria refuses to explain the term, which leads us to believe it’s their Super Secret plot to lace all Kraft Foods with tobacco, and eventually get the whole world addicted. 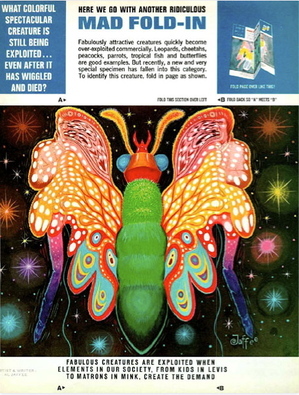 All you marketing gadflies out there … why are you still reading this? Go visit Manure Madness NOW!!! Your marketing gadlfy mind will be better for it. Dig? Conventional wisdom tells us the NCAA Men’s Final Four will consist of all #1 seeds (Illinois, Washington, North Carolina, and Duke). It also tells us the winner will be Illinois, college basketball’s top-ranked team. However, since 1985, #1 seeds have reached the Final Four only 42.5% of the time and top-seeded times have won the tournament 55% of time. Hmm … conventional wisdom doesn’t seem to produce the best results when filling out your NCAA bracket. What would happen if we applied James Surowiecki’s The Wisdom of Crowds theory to filling out our NCAA bracket? 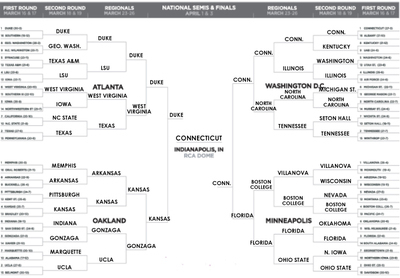 This National Bracket is from the collective wisdom of those playing ESPN.com’s online NCAA Tournament game. And as of Monday night, it mirrors conventional wisdom with Wake Forest being the only non-#1 seed to make it to the Final Four. This ESPN.com National Bracket seems to conform to Surowiecki’s outlined qualities needed for collective wisdom. With over 1.3M submissions last year, the ESPN National Bracket is inclusive of diverse opinions. Each submission is independently entered and the selections are not contingent upon other submissions. It is decentralized in that each person uses their own knowledge to select winning teams. And, ESPN.com aggregates all the submissions to arrive at a collective decision. It’ll be interesting to see how the collective wisdom of ESPN.com’s National Bracket changes as thousands more diverse opinions are incorporated. You can track the changes to the National Bracket by clicking here. Does your Blogger’s Grotto look like this? While not as cool as Po Bronson’s Writer’s Grotto … it’s just as practical. Nice Shawn ... very nice! This has to be the worst 8-sheet billboard creative I’ve ever seen. There are at least 20 different design/copy elements in this billboard. Schizophrenic indeed. I've put my mouth where my blog is and sampled the limited-edition Pepsi Spice. Below are my tasting notes. Initial burst of cola effervescence which gives way to a rush of ginger infused sugar sweetness. The flavor mellows in its medium body that is accented by slight cinnamon overtones. This cola closes with a lingering spicy ginger intensity finish. Pepsi Spice tastes less caramel sweet than regular Pepsi and because of its spiciness, its flavor is reminiscent of Coca-Cola Classic. I don’t taste Red #40 and that’s probably a good thing. I was hoping the taste would be more adventurous with stronger cinnamon and ginger flavors. There is not enough of an interesting flavor to make Pepsi Spice remarkable. Nice try, but Pepsi Spice only hints at having uniquely delicious taste appeal. Reebok introduces the Pump 2.0 … a shoe that automatically inflates and adapts to your feet for a truly individual fit. According to reports, the shoe maintains a maximum of five pounds per square inch and after feet swell from running/walking, the shoe will adjust to accordingly to keep the pressure steady. Cool. Too bad I rarely wear sneakers. Will the cell phone make the MLB more transparent? Major League Baseball (MLB) has had a long standing policy of not using instant reply to give umpires a second opinion on controversial plays. Instead, umpires will congregate on the field to discuss the situation leaving fans at the game in the dark. Following the umpire discussion, a ruling is made and the game goes on. The stadium announcer, using few words as possible, will alert fans in the stands to the ruling. But most fans at the game are still left in the dark wondering exactly what happened. And this is where the cell phone begins to break down Major League Baseball’s walls of opacity. Flash back to last week and Game 6 of the American League Championship Series. Eighth inning, one out, Boston Red Sox leading 4-2. Derek Jeter of the New York Yankees is on first, with Alex Rodriguez at the plate as the tying run. A-Rod hits a squibber to Boston pitcher Bronson Arroyo and then slaps the ball out of his mitt as Mr. Arroyo tries to apply the tag. Fans in the stands that night say they saw the disputed play as a confusing near-collision, followed by a pantomime of huddled umps, gesticulating managers and hand signals. No announcement explaining what had happened was made, they say. And no replay was shown on the scoreboard -- in fact, Major League Baseball forbids teams from showing close or disputed calls. "Immediately everyone began dialing up friends and family to find out what had happened," says Robin Mohapatra. "After a minute or two, we called friends in Boston who gave us a verbal rundown of the replay," says Tom Thornton. "Word spread through the crowd after fans called TV-watching friends," says Andrew Howse. What those friends said was unambiguous: A-Rod was in the wrong and the umpires had made the right call. That might not have made Yankee fans any happier, but it did dispense with the idea that they'd been jobbed. ************************* And that my friends is how the cell phone is bringing transparency to the MLB. 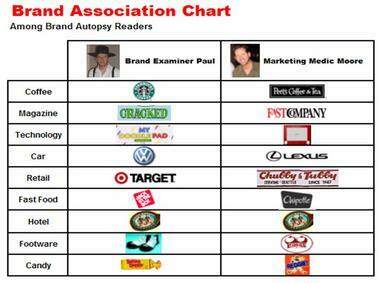 The Williams+Moore ImagePower® study released jointly by the Brand Autopsy Marketing Practice and research firm Rock, Paper, and Scissors reveals how Brand Autopsy blog visitors perceive the two bloggers, Brand Examiner Paul and Marketing Medic Moore. Rock, Paper, and Scissors conducted single-digit interviews among a representative sample of Brand Autopsy blog visitors who plan to visit the Brand Autopsy blog again and are familiar with both bloggers and their respective marketing ideology. The results are startling as both bloggers are perceived by their readers to similar yet dissimilar. The only true similarity between the bloggers is they are both linked to comfortable shoes. 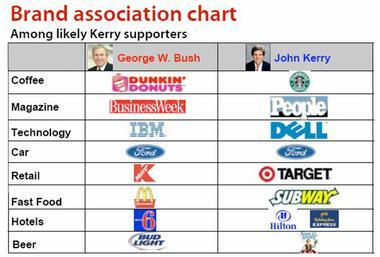 Landor Associates (branding firm) and Penn, Schoen and Berland (research firm) released a joint study comparing the attributes of both George Bush and John Kerry to well-known brands. 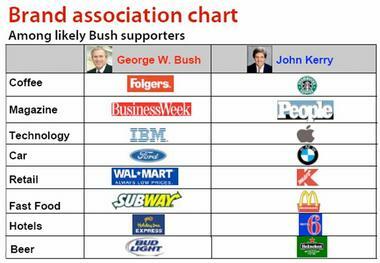 "Mapping Bush and Kerry to well-known product and corporate brands reveals how each candidate is viewed and suggests brand strategies each can employ to potentially sway the critical undecided voter group." "... Kerry must prove that he has substance, that he's not all flash and marketing. Bush, on the other hand, must focus on emphasizing that his strengths – stability and reliability – are more important than being ultra-modern or progressive." Noticeably absent from this blog is any Brand Autopsy commentary. I’ll leave the HMOs (hot marketing opinions) and HPOs (hot political opinions) to your MO (modus operandi). Dig? 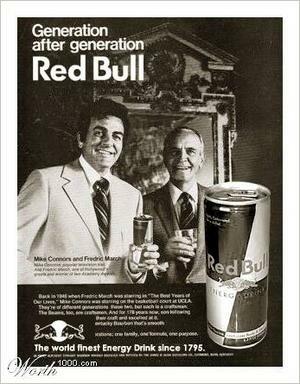 These faux-retro print ads from Worth 1000 are worthy of your time. Enjoy. Thanks to Ryan Saghir for the hook-up. Tired of fumbling around with all your remote controls? If so, do what this popular mechanics-minded techie did and turn your iPod into a universal infrared remote control. And, the “i” could also stand for... imagination ... as in I am continuously amazed at how such devotion to a brand can elicit inordinate amounts of imagination by its evangelists. 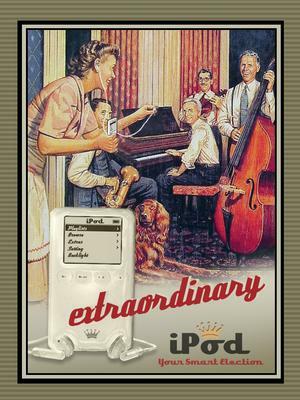 The iPod is a case of simplicity breading creativity. WordCount™ is an online application which presents the 86,800 most frequently used English words, ranked in order of commonality. The data comes from the British National Corpus®, a collection of 100 million words culled from a wide range of written and spoken language samples. WordCount was designed with a minimalist aesthetic, to let the information speak for itself. The interface is clean, basic and intuitive. The goal is for the user to feel embedded in the language, sifting through words like an archaeologist through sand, awaiting the unexpected find. Observing closely ranked words tells us a great deal about our culture. For instance, “God” is one word from “began”, two words from “start”, and six words from “war”. Another sequence is "america ensure oil opportunity". Conspiracists unite! As ever, the more one explores, the more is revealed. Go ahead … give WordCount a whirl. It’s intoxicating. Sure, Paul has given birth to some nifty idioms ... but ... not all his coined terms have worked. I remember the vacant stares and the rampant shoulder-shrugging when Paul was deep into repurposing Star Trek terms into marketing/business language. In 1999, Paul was leading a TAZO tea promotion which called for coupons to be passed out to Starbucks customers in-store. Problem was … the coupons never arrived. Paul hastily convened a meeting where he demanded a Level Three Diagnostic be run to determine what went wrong. He kept asking Ensign Flannery to run the Level Three Diagnostic. Ensign Flannery (Paul’s words, not mine) was clueless and so was everyone else at the meeting. To this day, Paul still says, ”Warp 9.1” when asking to fast track a Make it So action item. This is my favorite one. When implementing a minor marketing program, one that wasn’t expected to deliver outrageous results, Paul would say, “Team … set your phasers to stun.” Let’s hope Paul no longer uses that one. I’m reading Free Prize Inside in preparation for Seth Godin’s junket stop at Brand Autopsy on the upcoming Business Blog Book Tour #3. Near the end of the book, Seth gives guidance on where to find “free prize” ideas. This is where I read about a BRILLIANTLY SIMPLE idea. "I got a nice note from a banker in Texas. She had a limited budget, and she wanted to promote the fact that the bank had more ATMs in the community than the competition. My idea? Without telling anyone, start putting a few $100 bills in the $20 bill storage bin of the ATMs. Not too many, just a few, at random." Brilliantly simple, eh? But the banker never implemented the brilliantly simple idea because she failed at championing the idea within the bank. More ruminations on Free Prize Inside to come on Tuesday, May 4 when the BBBT#3 stops at Brand Autopsy.